NYC, 02/15/2019, 2:00PM. 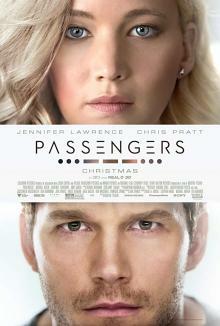 Passengers (2016): Awakening Ninty Years Early. 116 min. Director: Morten Tyldum. Starring Jennifer Lawrence, Chris Pratt, Michael Sheen. The film received two nominations for Best Original Score and Best Production Design at the 89th Academy Awards. It grossed $303 million worldwide, becoming the third-biggest original live-action U.S. release of 2016.